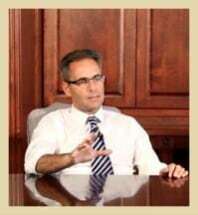 Our lead attorney, Luis P. Guerra, is an American citizen born in Porto, Portugal. Mr. Guerra was admitted to the Arizona State Bar in 1994 and started practicing that same year. Prior to his admission to the Arizona State Bar, Mr. Guerra obtained a law degree from the Universidade Catolica Portuguesa (1989) and passed the Portuguese Bar exam (1990). In 1992, after his arrival in the United States, Mr. Guerra obtained a Master’s Degree in International Management (M.I.M.) from the American Graduate School of International Management (Thunderbird)*. Finally, in 1994, Mr. Guerra obtained a Master’s Degree in Comparative Law (M.C.L.) from the University of San Diego. Mr. Guerra has the top attorney rating (AV) issued by Martindale-Hubbell, the most reputable source of information about the legal profession. Martindale-Hubbell’s Lawyer Rating system evaluates lawyers and law firms in the US and Canada based upon peer review. Mr. Guerra is a member of the State Bar of Arizona, the Maricopa County Bar Association, the American Bar Association, the Association of Trial Lawyers of America, the Hispanic National Bar Association, the Maricopa County Hispanic Bar Association Los Abogados, the American Civil Liberties Union (A.C.L.U. ), the Trial Lawyers for Public Justice, the National Bar Association, and the Federal Bar Association. Mr. Guerra is fluent in all major official languages spoken in the American Continent, including English, Portuguese, Spanish and French. Mr. Guerra’s practice involves serious personal injury, wrongful death, and ranges from products liability, motor vehicle design, highway and street design, gas explosions, electrocutions, truck collisions, aircraft accidents, tire litigation, premises liability, insurance coverage law, appellate practice, and diversified pro bono work. Mr. Guerra’s reported decisions include: Gunnell v. A.P.S., 202 Ariz. 388, 46 P.3d 399 (2002), Tobel v. Travelers Ins. Co., 195 Ariz. 363, 988 P.2d 148 (1999), Tobel v. D.P.S. 189 Ariz. 168, 939 P.2d 801 (1997).